Smith’s biography is the most widely read of all the Ulysses S. Grant biographies and with good reason. Among the eighty-four presidential biographies I’ve read so far, Smith’s narrative has perhaps the best combinations of effortless fluidity, vivid detail, historical context and insight that I’ve encountered. Weighing in at over 600 pages (not counting notes or bibliography) this biography feels surprisingly light while remaining appropriately erudite and serious. The half-dozen or so pages in Smith’s preface are among the most potent and thoughtful introductory pages I’ve seen written on behalf of any president. For the first three-fourths of the book I had a hard time convincing myself to put this biography down…even for a moment. Not until Smith begins his careful five-chapter analysis of Grant’s two-term presidency does the book’s pace slow measurably. At that point the weight of Grant’s complex and sometimes controversial presidency alters the flow but not the intelligence of the text. Smith’s description of the Mexican War is easily one of the best and most wonderfully descriptive I’ve ever read. Even Zachary Taylor’s biographers were unable to provide the same level of clarity and perspective. And, more importantly, this is the chapter where Smith begins to connect Taylor’s unique, reserved leadership style to that of the future military genius and president Grant is to become. Despite being my fourth biography of Grant, I found details embedded in the narrative I had not seen elsewhere. But rather than seeming tedious or unnecessary (as details so often feel) they serve to enhance the story and do not weigh it down. And rather than simply providing a chronological template to Grant’s life filled with interesting nuances and minutiae, Smith regularly connects the dots for the reader by making observations other biographers occasionally ignore or miss. 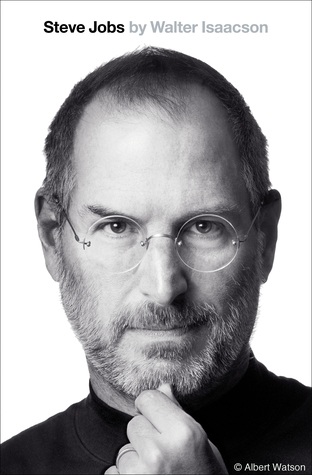 Excellent in nearly every way, this biography is not quite perfect. In addition to slowing measurably during Grant’s presidency, this book suffers from at least one other flaw: after treating its audience to six-hundred pages of war, peace, poverty, fantastic military genius and perplexing presidential naiveté, the last eight years of Grant’s life are dispatched in about twenty pages. His around-the-world trip is well chronicled and the facts surrounding his authorship of his Memoirs seem complete. Yet the book terminates one paragraph following his death. The reader is left to wonder how the world reacted to his passing or how his legacy evolved in the decades ahead. It feels a bit as though the author bumped against a publishing deadline and was forced to abruptly finish the book. Despite my desire for a longer, more satisfying conclusion, however, this biography is excellent. It combines certain narrative elements of McCullough’s “John Adams” with the flavor and perspective provided by Doris Kearns Goodwin’s “Team of Rivals.” Simply stated, Jean Edward Smith’s “Grant” is very nearly my ideal biography; it is colorful and descriptive, consistently articulate and incredibly informative. 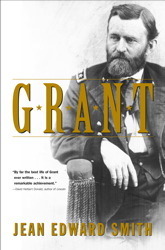 I almost cannot imagine a better biography of Ulysses S. Grant. Well written book review of a well written book. It gave me several ideas, too. I already had Chernow’s “Hamilton” on my list but I’ve added Allen Nevins’s multi-volume study of the Civil War and Keegan’s “The Face of Battle.” Good enough for McPherson? Probably good enough for me…! Finally finished Smith’s “Grant” this morning. I still can’t believe that in my studies I hadn’t read this volume yet, but I am glad I finally did. Your review is spot on–it is one of the best balances of context, description, and vivid detail of any biography. Like you mention about the ending, it certainly ends far too quickly. Smith could have fleshed out some sections to add about 50-75 pages and I wouldn’t have complained a bit. His writing style flows so well. His descriptions of the many successes of Grant’s presidency are appreciated, and his recognition and fair analysis of the failures seem objective. One small area I would disagree is regarding the section on Grant’s presidency. I actually found that section just as engrossing as the Civil War battles, and honestly couldn’t put the book down in those chapters just as much as earlier ones. In fairness, however, I was already far more familiar with Grant’s Civil War experiences than those of his presidency, so I was more engaged in the chapters on his presidency simply because they were offering new insights and analysis I hadn’t been exposed to yet. I’ve ready about Grant’s presidency, but Smith had a gift to describe things so clearly and eloquently that I found it a pure joy to be reading about what any other authors might deem mere political monotony and treat it as such. I am looking forward to Paul Kahan’s upcoming “President Grant” to learn more about Grant’s presidency, as the Civil War often steals the spotlight in any treatments of his life. If and when you read Kahan’s biography please let me know what you think! I’m anxious to read it when I get to my “follow-up” items. Still my favorite Grant biography. Smith is a brilliant biographer, being both highly readable and insightful in his analyses. For me, JES is one of those biographers who never seems to let me down. His bios of Grant, FDR and Eisenhower were each my favorites for those respective presidents. I’m not sure how I’m going to feel about his biography of Bush…but we’ll see! I felt like I was reading a book by a completely different author while reading “Bush.” For me, it was nothing like Smith’s other works which were ALL very well done and amazing. Reading “Bush,” it felt like I was getting Smith’s personal, unvetted opinions of Bush in much the same way you’d get your neighbors opinions while talking on the front lawn. Raw, premature, and more knee-jerk reaction than anything else. It did not feel like a well researched or reasoned analysis, more of an opinion based piece. It’s too bad, as there isn’t really a good book out there on Bush 43 (“Days of Fire” is the best right now, it’s just not a cradle to grave type biography). I read two Grant books, Smith’s book as well as Chernow’s. I found both to be extremely well written, as well as similar in writing style. Smith does as excellent job of bringing Grant to life, in an easy, fluid style that made me lose track of time. I agree that the pace slowed down quite a bit once Grant hit the Executive Mansion. Smith’s coverage of the Mexican and Civil wars is outstanding, he really has a craft for distilling the chaotic nature of warfare into something a reader can envision. I think he did a wonderful job portraying the Grant/Sherman relationship as the multidimensional, complex entity that it was (I don’t think Chernow delved enough into this critical relationship in his book. I consider that one of the shortcomings of the first half of his portrayal). Thank you for highlighting this book, I thought it was excellent overall, and based on your review, this was one of the most anticipated books of all I’ve encountered on this journey. PS: I think Chernow’s was better, I know it’s on your follow-up list. I wouldn’t be surprised if he wins another Pulitzer for it. I’m pretty sure you’ll love it. PPS: Based on the Grant book, I can’t wait to get to Smith’s FDR and Eisenhower books. Also, I’d really like to read his “John Marshall” book too, that looks fantastic, about a fascinating man (someday). Thanks for the detailed thoughts – Chernow is one of perhaps five or six authors I’ve been introduced to during this journey who I have become so enamored with that I’ll be reading everything they’ve ever written when I get the chance. Remini and Smith are two of the others and I’ve got the “John Marshall” bio sitting on a bookshelf in front of me, taunting me almost daily. I’m working my way through presidential biographies, though not quite as ambitiously as you–only one per President, please! Your website is an invaluable and much appreciated resource in sorting out which one to read. For Grant I’m picking between Smith and Chernow, and based on your review was ready to go with Smith. But this line in Smith’s preface is giving me pause: “In 1868 Grant reluctantly ran for president.” Having just read Trefousse’s bio of Andrew Johnson, which briefly treats of Johnson and Grant’s relations prior to Grant’s presidency, I find that claim dubious on its face–I mean the “reluctant” part–enough so that I’m questioning Smith’s objectivity regarding Grant. This is not an aspect of Smith’s bio that you discuss in your review, but it’s important to me. Before I commit to 600+ pages of reading, I like to know that the writer is not one to shade his descriptions in order to make his subject come off better. Unfortunately it has been too long since I read JES’s “Grant” to provide you with any specifics relating to the issue you cite, and given some of what I’ve heard regarding his recent biography of Bush (43) I’d have a even harder time telling you that Smith never lets his personal feelings color his writing. But to be fair, I rarely encounter a biography where the author hasn’t shaded the narrative somewhat (sometimes for, and sometimes against, the subject). I also have a hard time arguing vociferously for or against Chernow’s biography of Grant since I haven’t read it yet (it was only published after I finished Grant, so it’s on my follow-up list) but I’ve found Chernow to be a thoughtful biographer so if you’re worried about Jean Edward Smith’s objectivity I would encourage you to read this one. But whatever you choose, do let me know what you think once you’ve finished! Thanks, Steve, will let you know! Excellent question. That statement is one that I could argue both for and against, depending on your perspective. If one views it politically, it would be fair to say Grant WAS reluctant to run. His views on politicians and politics in general were well documented. What Grant DID have an enthusiasm for was ensuring that the victory he was responsible for in the Civil War remained in force, and he felt duty bound on this account to be president, primarily because of the weaknesses he saw in Johnson. Also, as you were reading a biography of Andrew Johnson, I’m not surprised they promoted the notion that Grant was politically ambitious and driven to be president, given the massive abyss that developed between those two men. It is fair to say it was responsible for Grant’s motivation to be president because Grant saw Johnson as squandering the victory and damaging the Union, but again, it can be argued both ways what his motivations were, so I wouldn’t chalk Smith’s statement up to outright bias, as his position is one you could legitimately accept and find supported in a wealth of Grant material. Brooks Simpson’s excellent Grant book “Let Us Have Peace” focuses specifically on the 3 year period 1865-1868 and highlights Grant’s own internal struggles to reconcile the fact that he was becoming a politician when he loathed politicians, and looks more deeply at his motivations. Thanks for the insight and the referral to “Let Us Have Peace,” appreciate it!